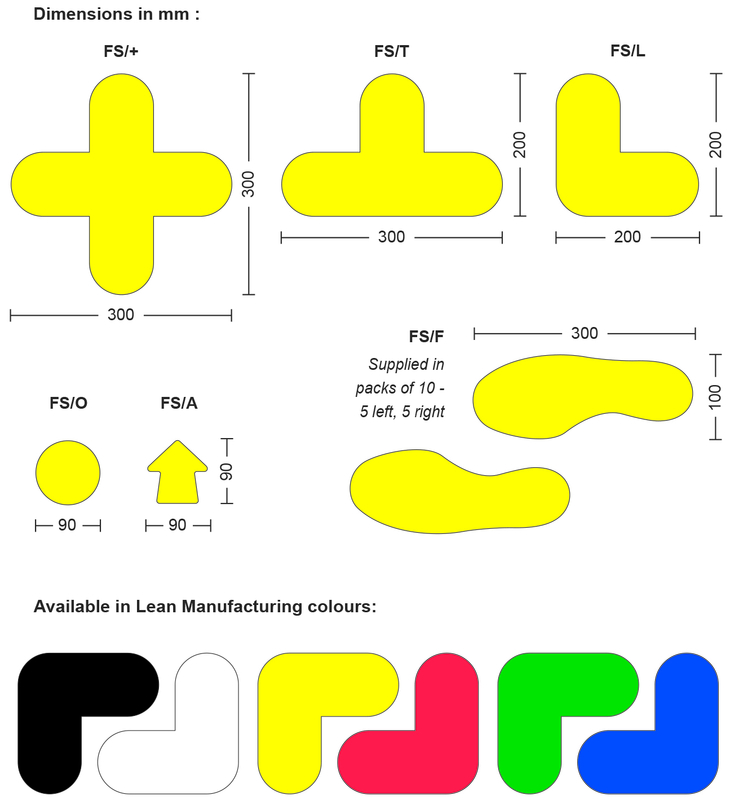 Self-adhesive floor identification signals to highlight walkways, fork lift routes and pallet positions/block stacking areas, Tough PVC floor signs available in 6 colours. Now available with self-adhesive directional feet. Warehouse Floor Marking Equipment, School & Library Document Display, Floor Identification. 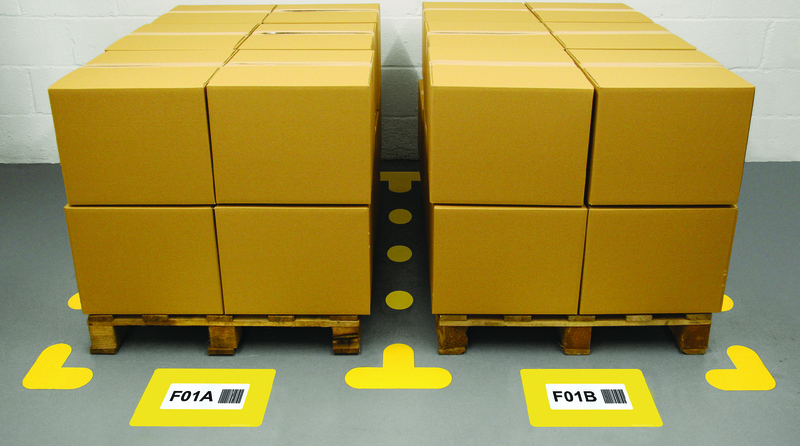 A range of inexpensive high visibility Floor signal markers to highlight walkways, traffic flow, pallet positions and general marking on the warehouse floor. The markers are suitable for application onto a clean, flat, sealed surface.